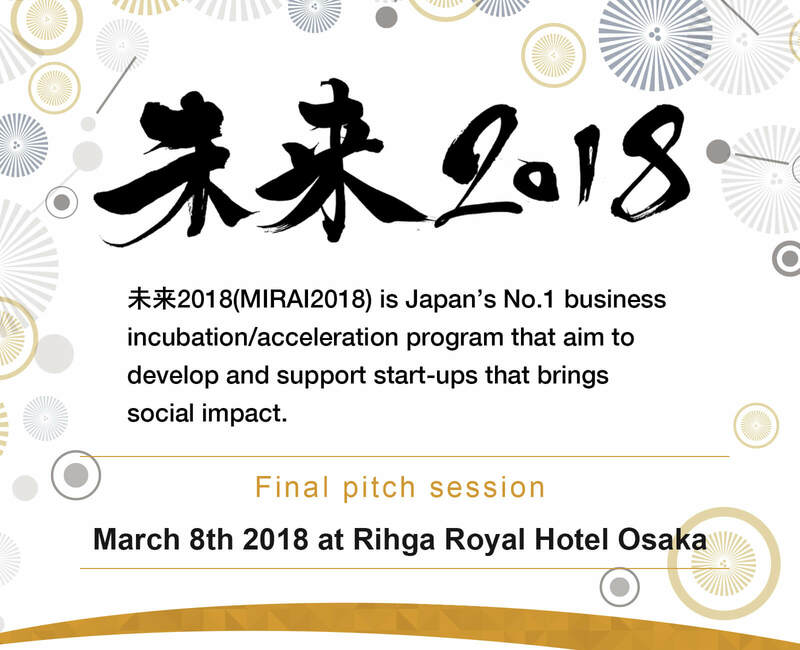 MIRAI2018 supports start-ups, carve-outs of companies and persons who will found their companies, by providing training programs and meet-up events with larger companies and investors in order to realize innovation. MIRAI2018 now accepts application with business plan to commercialize ideas and technologies developed. All applications have to be filled in Japanese or English. Send the applications to the following mail address(within 8MB). ※Application for MIRAI2018 is closed.Thank you very much for your Application. * Schedule would be changed.